I am a full-time photographer based in Chippenham, Wiltshire. I have had the pleasure of photographing some amazing weddings across the country as well as abroad. 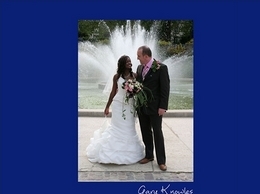 My aim is to ensure that your special day is captured and remembered forever. Footfall Photography combine photographic and marketing expertise to create images to attract customers to tourist destinations and other establishments. A photo gallery website solution for photographers, designed to focus visitors attention on the photograph, the image, slide, graphic, product. Includes easy to use content management system, to add, edit photos, categories, text content etc. Experienced wedding photographer capturing weddings in Salisbury and throughout Wiltshire. Tim provides beautiful, natural photographs shot in an enjoyable and relaxed manner.